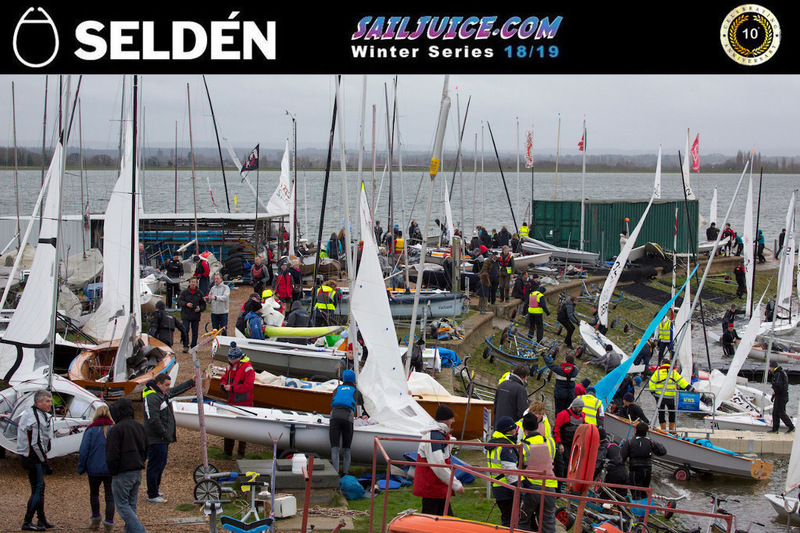 Entries have been high for this season’s Selden SailJuice Winter Series, and already there are over 200 entries for round 5, the GJW Direct Bloody Mary. Event preview and online briefing. As it’s name implies, the Bloody Mary can be a bruising affair. It’s normally blisteringly cold, sometimes below freezing. So if you fancy a crack at this winter classic, this Saturday is the time to head to west London while the weather is reasonably kind. Sponsored for the first time by GJW Direct, the classic pursuit race looks set for pretty mild conditions in moderate to fresh westerly breezes. There is the usual roll-call of legends such as Roger Gilbert and Ben McGrane who won this race with about 20 minutes to spare in an International 14 a few years back. 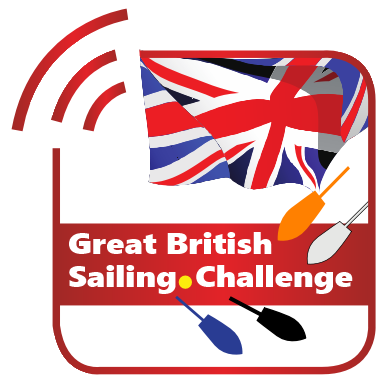 However, that was before the Great Lakes variation on the standard RYA handicap numbers were introduced, and this weekend should produce a much tighter battle for line honours, where the outcome will most likely remain in the balance until the dying minutes of the race. There is a huge range of classes represented, with the Flying Dutchman making a rare appearance thanks to Ian Keely and John Matthews from Waveney and Oulton Broad Yacht Club. The biggest class by number is currently the RS Aero 7 singlehander, with Mr Selden himself, Steve Norbury, among the strong Aero line-up. As we move into the second half of the series, the overall ranking are becoming very close, and it looks like there were will be several boats in contention for the top spot, particularly once discards start to come into play after this weekend. Currently 37 boats have three or more results, with four results needed to qualify and three events to go. Tom Gillard, 2012/13 Series Winner (Solo - Sheffield Viking SC), holds onto top spot, with Brass Monkey Winners, Colin and Olly Murray (Norfolk Punt, Royal Marines SC), up two places to second, and another father and son pairing, Ben and Simon Hawkes (Osprey - Castle Cove SC), completing the podium. Hosts Grafham Water SC were top club at Selden SailJuice Winter Series #4. Previous winners Burghfield SC hold onto overall number 1 spot for the Trident Top Club rankings, with Chase SC in second and Staunton Harold SC up to third. Defending champion Rutland SC jump 3 places to fourth overall, looking to make a last minute dash to the top in the second half of the 2018/19 Selden SailJuice Winter Series. Previous winner Eleanor Craig (Radial - Draycote Water SC) moves to top spot in the GUL Top Lady Rankings after Selden SailJuice Winter Series #4, with Val Millward (Challenger - Rutland SC) and Lydia Barber (Radial - Blithfield SC) up to third. The third GBSC qualifier was held at the Brass Monkey. After the extreme conditions of the Datchet Flyer, YDSC delivered a gentle breeze of around 8 kts, but with some random gusts that had a big impact on the results. Fleet C (hiking singlehanders) started first and enjoyed a nice gust peaking at 11 kts just after their start, with the other starts delayed due to recalls and the breeze falling back, Fleet C experienced a big advantage. With Dynamic Handicapping and GBSC Performance Index taking account of some of these variables, the playing field was levelled and a more even spread of classes seen. In the overall rankings, Sam Mettam, Fireball. is still on top after a stellar performance at Datchet, Colin and Olly Murray (Norfolk Punt), move up to second after their win at Yorkshire Dales. With a gentle breeze at the Brass Monkey, the SailRacer GPS trackers were still able to record sustained double figure speeds for the 49ers, with Ian Craven and Terry Pressdee topping the SpeedSix Challenge Speedwall at 11.81 kts. On corrected speeds local Vortex sailor David Smith was the fastest. After a strong showing at the Grafham GP, defending champions the Solo Class had a big presence at Selden SailJuice Winter Series #4, posting some strong results across their three top boats in each race to jump four places to lead the Sailing Chandlery Top Class rankings. The Blazes who have enjoyed top spot since round 2, dropped to second and the Fireballs completing the podium. With only a 5% difference across the top 7 classes, things are very close as we head into the second half of the series.